Busabout offers several trips that allow those with itchy feet to celebrate the holidays in exotic locales among like-minded fellow travelers. These late December adventures combine food, fun, and festivities in European locations steeped in holiday spirit, like New Year’s Eve in Edinburgh, Scotland. BOCA RATON, Fla.– Free-spirited travelers may well reconsider that old expression “home for the holidays” after hearing about the European feasts and festivals they can enjoy on an end-of-year trip with Busabout. Busabout, the flexible travel expert, offers several trips that allow those with itchy feet to celebrate the holidays in exotic locales among like-minded fellow travelers. These late December adventures combine food, fun, and festivities in fantastic European locations that are steeped in snow and holiday spirit. Rise Festival 2018 Ski Adventure: Combine hard rigid peaks with penetrating grooves on this ice cool festival adventure to France and England that visits the one and only Rise Festival. Party in mountain bars after shooting down soft-snowy Alpine slopes, mellow-out with meditation marathons in incredible ice caves, and have the chance to mount husky-sleds, helicopters, and snowmobiles. Then attend the unique festival, which merges dance moves with mountain views.9 days; departs December 14, 2018. Priced from $759 pp. Eastern Festive Trek: This December, discover all the jingles and bells of Eastern Europe, and show Santa you’ve been a good little traveler. Stuff your stockings in the markets of Krakow and Vienna, get merry under the mistletoe in the parties of Krakow, admire the craggy mountains around Zakopane, and ring in the New Year in Prague. You’ll also visit Budapest, Vienna, and Český Krumlov. Even if you’re a little bit naughty, we’ll make sure Santa’s little helpers give you a good gift! 11 days; departs December 22, 2018. Priced from $1,229 pp. Mega Highland Christmas (operated by HAGGiS): This is one truly traditional Scottish Christmas to remember. Imagine a Highland setting for Christmas, with lochs, glens and rugged mountains. Then add a traditional Christmas dinner with all the trimmings followed by a ceilidh (traditional Scottish dance party) and a dram or two! A wee bit different to sitting by the TV… eh? Throw in a real Christmas cracker, the magnificent Scottish Highlands covered in a blanket of snow, and have the time of your life with Christmas Day spent in a Highland hotel fit for the royals. Visit Edinburgh, Loch Ness, and Inverness. 5 days; departs December 23, 2018. Priced from $799 pp. 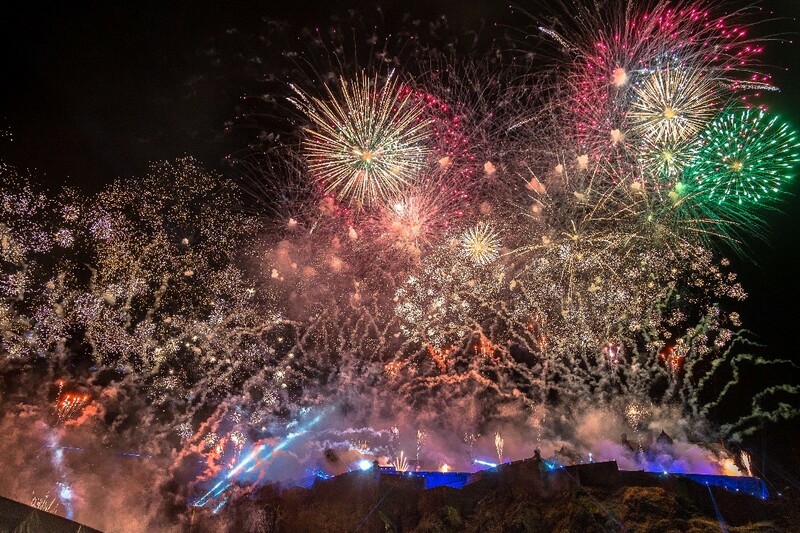 Highlands and Hogmanay: Scotland is simply one of the best places in the world to ring in the New Year! On this trip you’ll celebrate it in so many ways: attend the incredible Edinburgh torchlight procession, participate in traditional Scottish ceilidh dancing, attend the sparkling Winter Festival, and party with thousands at the Hogmanay Street Party amid an eye-popping fireworks displays. On New Year’s Day attend the early-morning Aussie and Kiwi New Year celebration before getting the chance to plunge into the sea during the insane “Loony Dook” in the Firth of Forth. This trip also includes a day trip to the stunning Scottish Highlands. 7 days; departs December 27, 2018. Priced from $799 pp. Busabout offers a distinctive Hop-on Hop-off bus network across Europe and guided Adventure trips around the world, Busabout and its partner companies Shamrocker Adventures and HAGGiS have been helping independent-minded travelers of all ages see the world affordably and without too much hand-holding since 1998. Their “freestyle” form of travel combines the flexibility that independent travelers crave with the best aspects of traditional tours. Sometimes they show you around, other times you are free to explore. Either way, you get plenty of local knowledge of destinations and the chance to make unforgettable memories alongside like-minded friends. For more information, visit www.busabout.com or call 1-844-888-0216. Created as a joint initiative between The Travel Corporation’s (TTC) family of brands, The TreadRight Foundation is a not-for-profit working to help safeguard the planet, wildlife & people for generations to come. To date, TreadRight has supported over 50 sustainable tourism projects worldwide. The Foundation’s guiding principle is to encourage sustainable tourism through conservation, leadership and support for communities. The Foundation’s priorities are set by the Steering Committee. Past project partners include WWF, Conservation International, WildAid, The Travel Foundation and The National Trust in the UK. Current initiatives include supporting various women’s social enterprises, the recently announced Wildlife Conservation Society’s Big Cat fund, WE.org and working with inspiring nature advocates like Céline Cousteau, Costas Christ and Terri Irwin. To learn more visit treadright.org; follow on Facebook , Instagram, and Twitter using hashtag #MakeTravelMatter.